Shoes fit great and are very comfortable. Great fit and all around comfort. I've only had them a week and after the first mile I knew they were keepers. Today did my first 2 hours hiking with them. No problems! No blisters. They look great too! 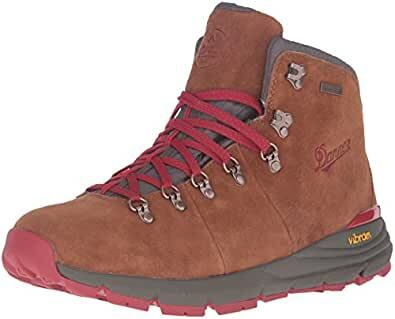 — Yanina M.
There are many different types of hiking boots out there made for all kinds of situations, and there is no single boot that fits everyone's needs. 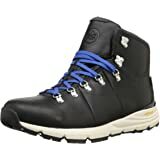 I've been hiking on Asolo boots for years. 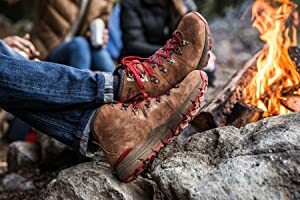 And while their boots are undeniably rugged and durable, these Danner Mountain 600s check some things off the list that the Asolos do not. Here's what you need to know about these mountain 600's. Let's start with ankle support. Many boot makers design their boots to be stiff in the ankles to provide support to prevent you from rolling your ankle. 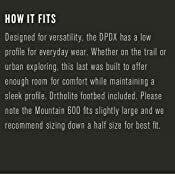 But ankle support is not the primary way to prevent injuring yourself on the trail. 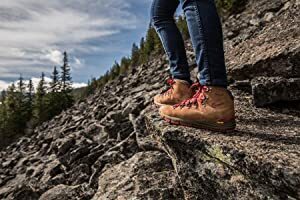 The goal is to design a boot that gives you the ability to flex and feel the terrain under your feet so that your feet can do the job they're naturally designed to do; feel what you're walking on and send signals to the brain that help you maintain your balance. 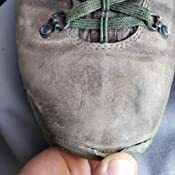 Most boots are so stiff that you lose this natural ability, and as a result, the ankles have to be stiff because you'll be rolling your ankles left and right! Why else do you think you roll your ankles more in hiking boots than you do in a pair of running shoes? And why, do you think, so many backpackers are choosing to hike in sneakers? The waterproofing is very good. The material is suede so you will need to treat it from time to time. However, I have no issues trudging through streams in the Adirondacks. 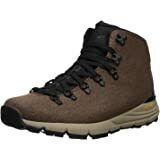 Boots are lightweight and feel feather like on your feet. Grip is phenomenal. Wet leaves, pine needles, dirt and mud, bare rock... I can scale all of it. 4. Flexible soles for a good under-foot feel. I love these boots. I have gone through so many different pairs of boots with blisters, hot spots, sore toes, pinched ankles... anything you can imagine. I am a tall woman with large feet, and feel like all I do is battle footwear. I bought these several months ago on Amazon - my local stores did not have them in stock, so I just prayed that the sizing was right (it was!). I bought men's 9.5 - I normally wear 11 or 11.5 women's, or 42 in European sizes and they worked perfectly. 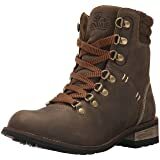 These are the most comfortable boots I have owned. They fit perfectly and after hiking 10 miles with a pack, my feet are sore, but nothing like I have had with previous pairs. 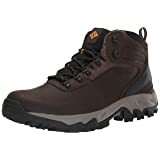 They are the "lighter" version of the Danner boot - but honestly, I never carry a pack more than 30 lbs, so these are fine. 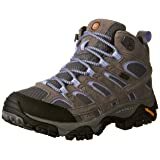 I did not have to break these in - I took them on a 1 mile "hike" on paved ground, then took them out on a 25 mile backpacking trip with no problems at all. They are waterproof and sand/dust proof - the tongue is attached to the outer portion, so nothing slips in through the laces. 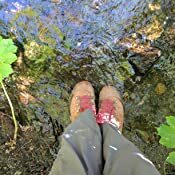 I wore them through creeks up to my ankles with no issues of water getting in or even the outside getting damp! I've worn them on several trips now, and I would buy these again in a heartbeat. My feet are 13.5 EE. I ordered 13 EE and they were too loose width wise. Danner recommends sizing down, see pic. In my case, the 13 worked, but should have went with the D instead of the EE. 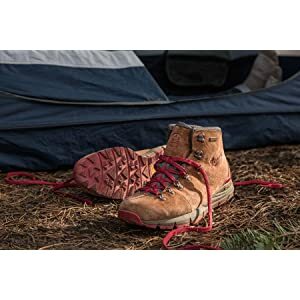 Danner does offer 1/2 sizes. 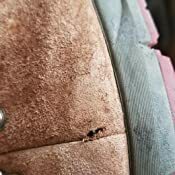 If you are unsure, email Danner with your foot measurement and ask for their recommendation. The 13 D was their recommendation to me and they were spot on. The boots themselves are superb! 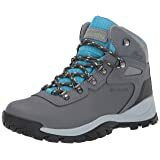 Super light, comfortable, waterproof and stayed dry hiking in snow and wet mud all weekend long, and the grip excellent. I love them. I tried on a ton of the popular brands at a big chain store and didn’t think any were very comfortable. 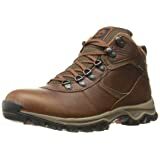 I really like the look of traditional mountain hiking boots of yesteryear and these really remind me of those boots. I was very pleased after slipping these on. They’re almost as comfortable as my running shoes. I listened to other reviewers and since I wear a 12 I purchased the 11.5 and it was a perfect fit. Very happy customer. I’d definitely buy these again. They’re great for stomping down the wet muddy trails here in western Washington. Lastly, the tread is very soft and grippy rubber. Vibram makes the best soles imo. I am a real customer and bought these with my own hard earned money unlike a lot of the phony reviewers on Amazon these days. 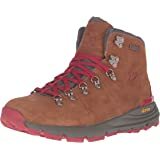 Bought these boots 2 weeks before a trekking trip to Patagonia. I had serious doubts. Were they up to the task. Also, I had no time to break in. Almost 100 kilometers later I had no foot issues. They handled the harsh terrain flawlessly. I brought a backup pair of Solomon boots which was totally wasted weight as I never wore them once. Buy these boots with confidence. They will deliver. 1.0 out of 5 starsPoorly made. I don't usually have to leave a bad review as I'm very easy to please. 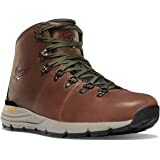 I bought these boots June 2018. They look sharp and are super comfortable, but they are very very poorly made. 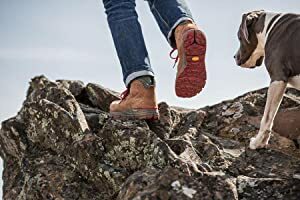 I wouldn't risk taking these on a serious hiking trip, if you do please take a back up pair of shoes. Also these will make your feet sweat, a lot. 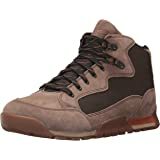 I would not buy these again unless Danner goes back to it's roots and makes quality boots again. Comfortable, flashy, but not well made at all. Amazon did take care of me and are overnight shipping a replacement pair, but I'm sure this will happen again. Don't buy. 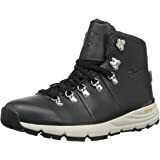 5.0 out of 5 starsGreat comfort, great fit, amazing traction, great value. Average 10k steps daily on these boots. These have been used for hiking and everyday use (mostly hiking). 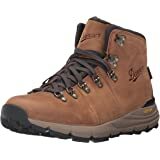 Overall great boot, lightweight and comfortable out of the box. , I would say they are worth it. These pictures where after i had the boots submerged thruout a hike and the back of the boot barely starter to give way today (same with the toe). 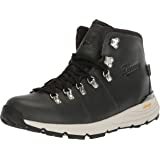 Overall good quality boot that grips amazing on all surfaces wet or dry. Waterproofing i dont think held up, i went for a wet/dry hike today and they got my feet all wet. Hard to tell if its the liner or the boot being to short. Overall im still satisfied..